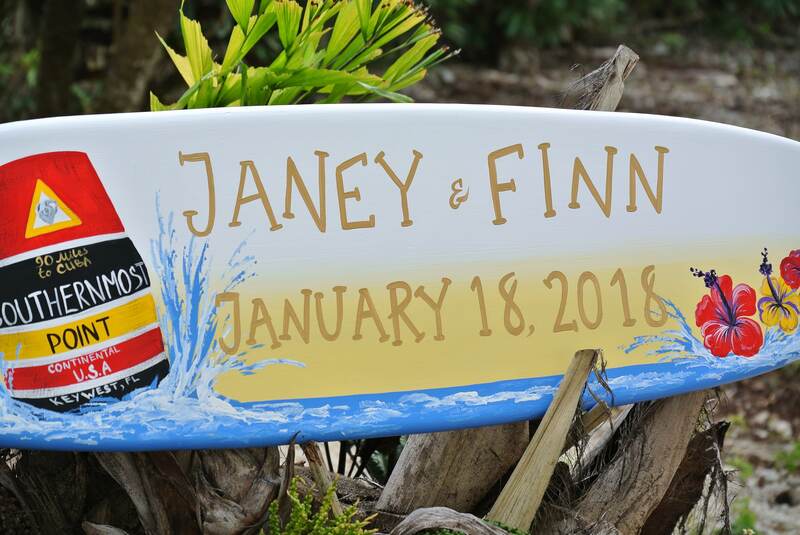 This wood surfboard beach wedding sign is elegant addition to any wedding ceremony. 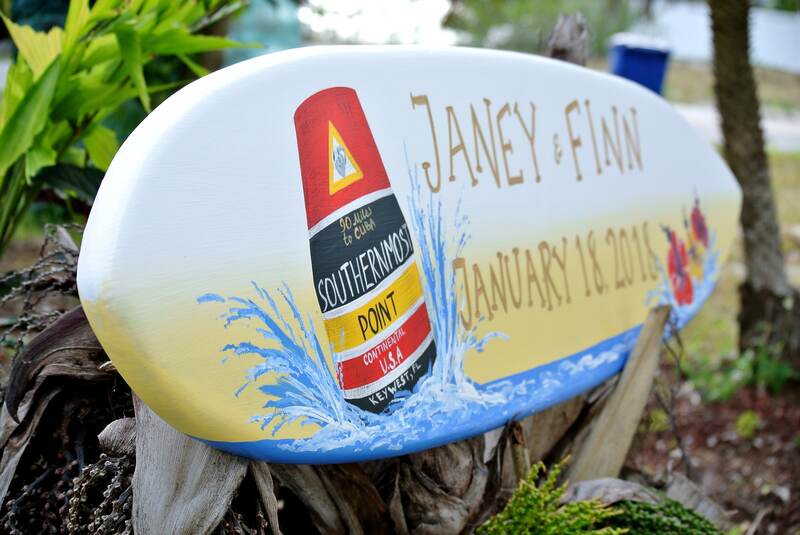 Unique wedding gift idea for your friends and family. 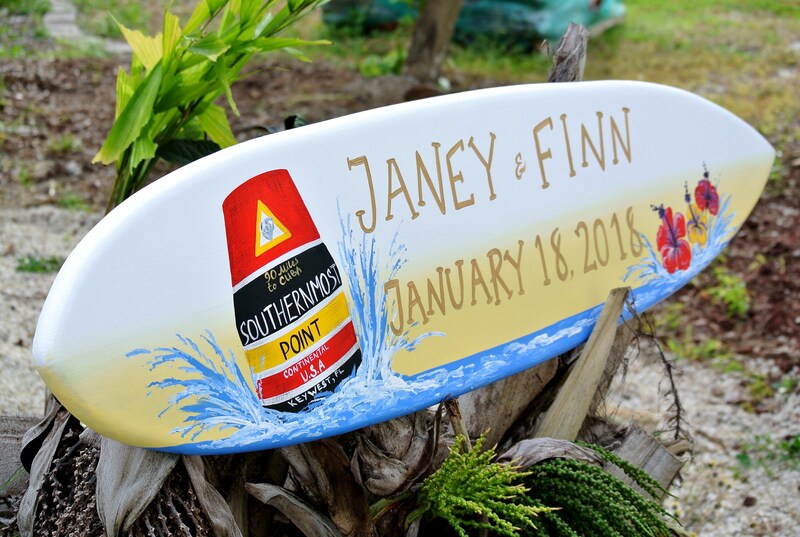 Unique alternative for regular guest book. 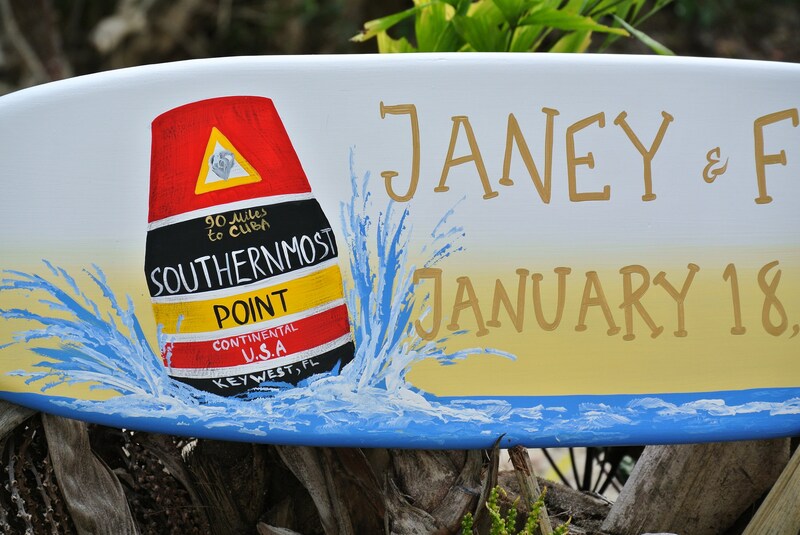 The sign made from high quality wood, decoratively hand painted and coated with Love in Key West. 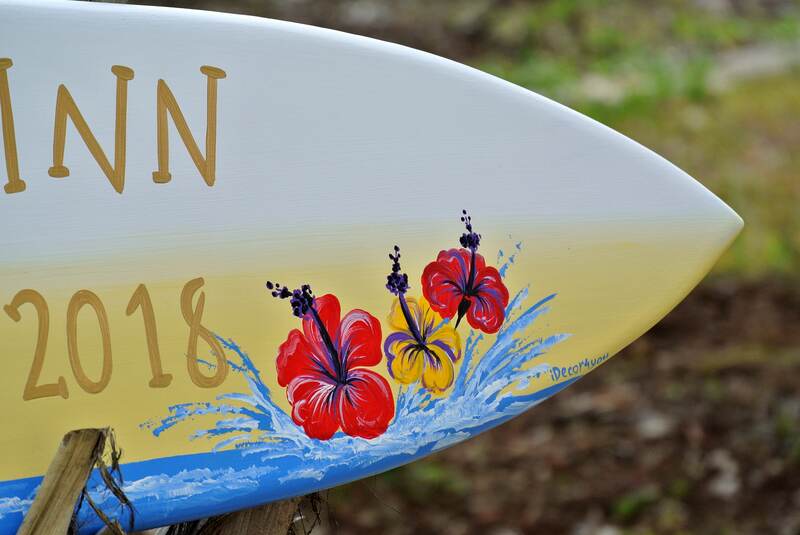 Choose any background colors and your favorite saying to convey the style. 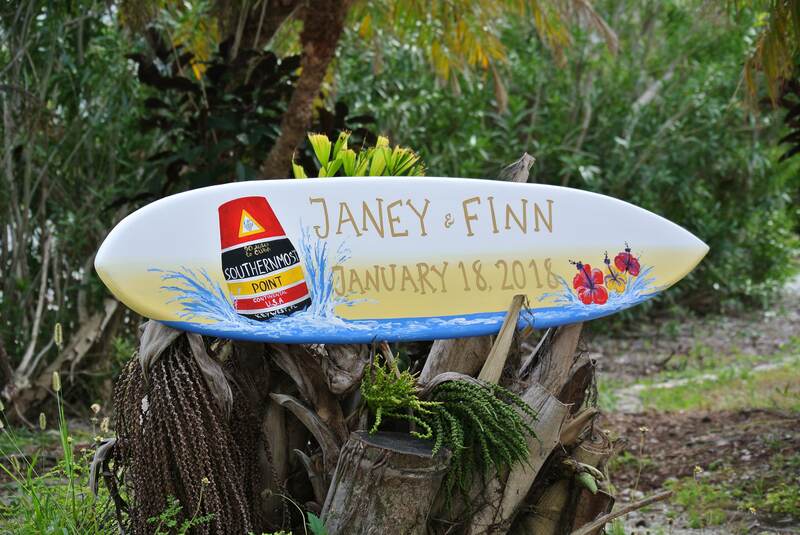 Could be a guest book alternative to capture the guest wishes for long lasting memories. Comes with two invisible keyholes for easy and fast wall hanging. Ready for house or porch displaying for years to come.